A voltmeter is an instrument used to measure voltage or electrical potential difference between two points in basic electric circuits. Analog voltmeters move a pointer across a scale in proportional to the voltage of the circuit. 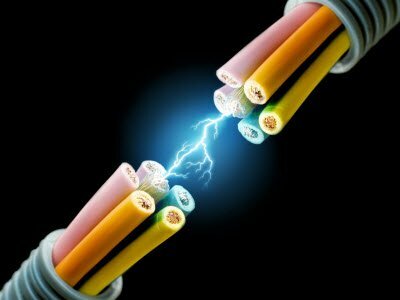 Voltmeters may have an accuracy of a few percent of full scale, and are used with voltages from a fraction of a volt to several thousand volts. Moving-coil instruments with a permanent-magnet field respond only to direct current. Moving coil instruments consists of permanent magnet to produce magnetic field, and a coil which is wounded on soft iron piece and rotates about its own vertical axis. 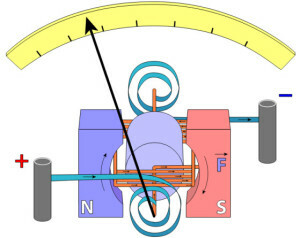 When the current starts flowing through this coil, deflecting torque is produced according to Lorenz force equation. This torque is directly proportional to the voltage across that particular circuit. A DC voltmeter is constructed by connecting the resistor in series this instrument and also a very high resistor in parallel with the circuit where we want to measure the voltage. Dynamo meter type Moving coil instrument consists of two coils one is fixed and other is rotating. The interaction of the two fields produced by the pair of fixed coil and moving coil produce a deflecting torque. These are used in DC measurement circuits only this makes this instrument to less usage. Easily extended for multi range measurements. Stray load currents are very small as compared to moving iron instruments. 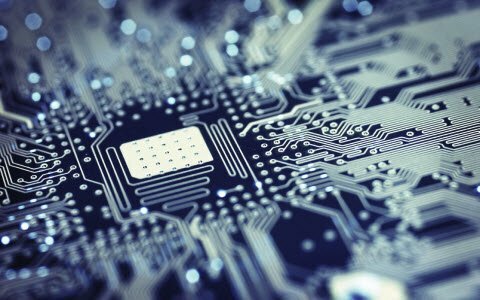 While moving iron instruments are used in AC circuits. Electromagnetic instruments are divided into simple moving iron, dynamo meter type and induction types of instruments. Again moving iron classified as attraction and repulsion types of instruments. In this also consists of soft iron which is of movable and fixed coils. 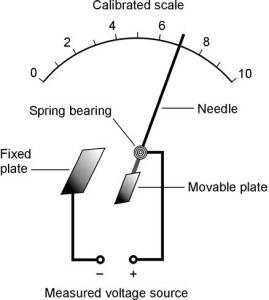 The interaction of fluxes produced by these two elements produces the deflecting torque. The ranges of these instruments are extended by keeping the resistors in series with the coil. Some of the disadvantages are non uniform scale, stray field current effects on the instrument etc. These are used for both AC and DC measurements. Low cost compared to moving iron instruments. 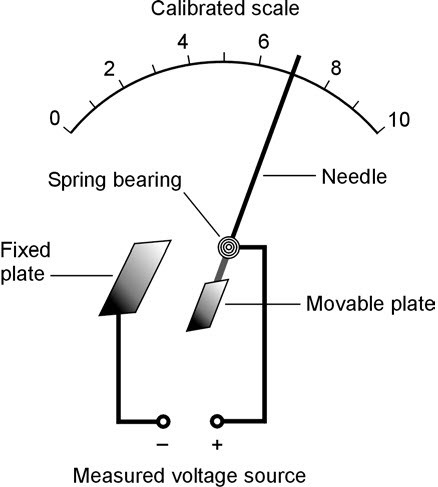 Electrostatic Voltmeters operating on the electrostatic principle use the mutual repulsion between two charged plates to deflect a pointer attached to a spring. These types of instruments are used for high voltage AC measurements as well as DC. These are of electrostatic disc type capacitor connected across the circuit which is to be measured. The electrostatic voltmeters can be categorized into three types based on the mechanical configuration. Those are repulsion, attraction, and symmetrical. Deflecting system consists of deflector which is suspended from a torsion filament or It can be pivoted by the bearings. 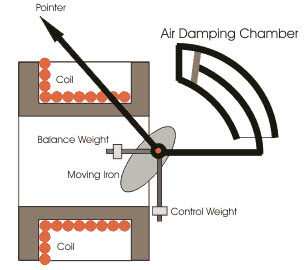 Arrangements the elements in this type of instrument mad with some special elements like capacitative elements, including parallel plates, concentric cylinders, hinged plates, etc Motion Damping torque is provided by air or liquid damping vanes or by eddy current damping. 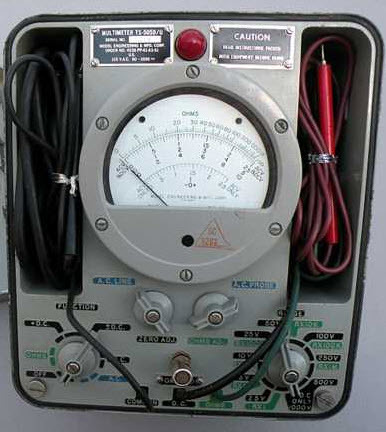 These types of instruments handle DC voltage, AC voltage, and resistance measurements. In this type of voltage measuring device electronic amplifier is used in between the input and the meter. Due to this arrangement the current drawn from the circuit under test is reduced. The range of resistances used at the input side in range of 1-20 mega ohms. By these resistances variation we can select the range to be measured. 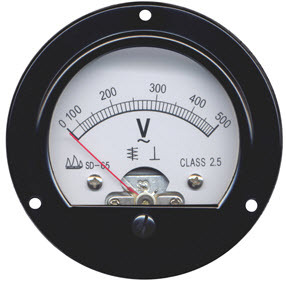 If this instrument uses the vacuum tube in the amplifier then it is called as vacuum tube voltmeter. These are used in high power AC measurements. As the invention of solid state devices used in the amplifiers, these type of voltmeters are called FET-VM. Ability to indicate slowly varying voltages. 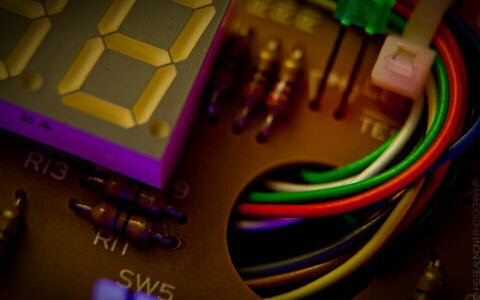 Voltmeter accuracy is affected by many factors, including temperature and supply voltage variations. 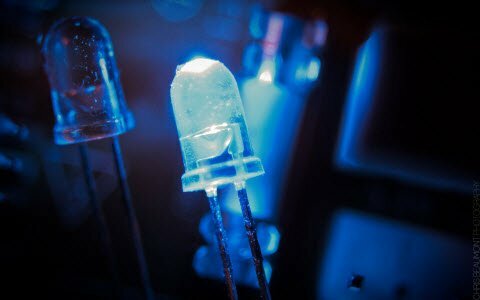 DVMs display the measured voltage using LCDs or LEDs to display the result in a floating point format. Obviously, if voltage measurements are taken and the results are displayed digitally with LED or LCD displays, the instrument has to contain an A/D converter. 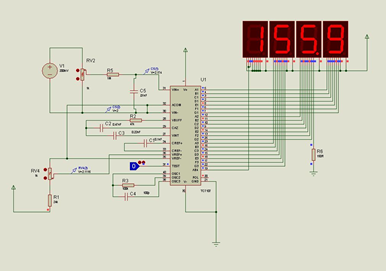 Using a programmed micro controller, ADC and LCD display, the following circuit is ready to provide accurate digital display of analog values from 0 to 15 volts DC. These are used because of the properties like accuracy, durability and extra features. These are completely eliminates the parallax errors. It will convert the signal under test and then amplifies it. High resolution instrument includes high precision. 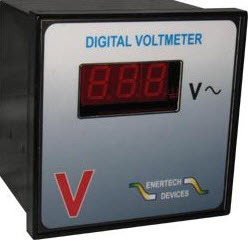 The digital voltmeter design uses a microcontroller which is said to be highly efficient in handling the data carrier operation in terms of being faster, error-free and accurate. 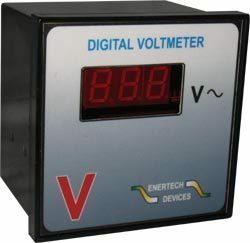 Rather than using the absolute analog ways of finding out the voltages, the digital voltmeter provides much more precise and accurate values of voltages in a given circuit in the range of the voltmeter. 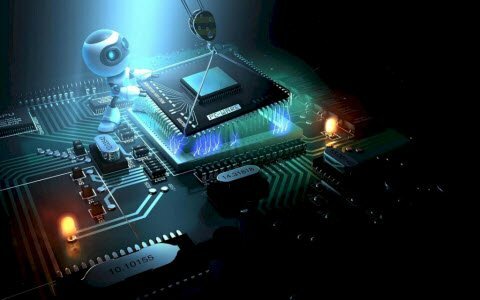 You may get good knowledge on electronic circuits and various ideas on projects of electronics by visiting this blog regularly. 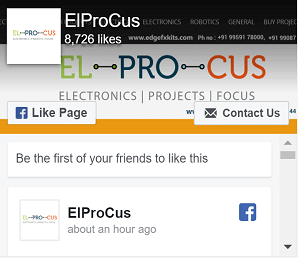 You may subscribe to this blog for regular updates. My name is Ray San, I’m from Indonesia and i study at Polytechnic State of Bandung i majored in electronics. My teacher asked to me to make Digital Voltmeter Project, but I don’t understand how it works. When i searched on the intenet i found your video on youtube, and i so interested in your DVM project. I really want to make it. Can you help me to explain how it works and can you give me some microcontroller program code for your circuit, mr. tarun?